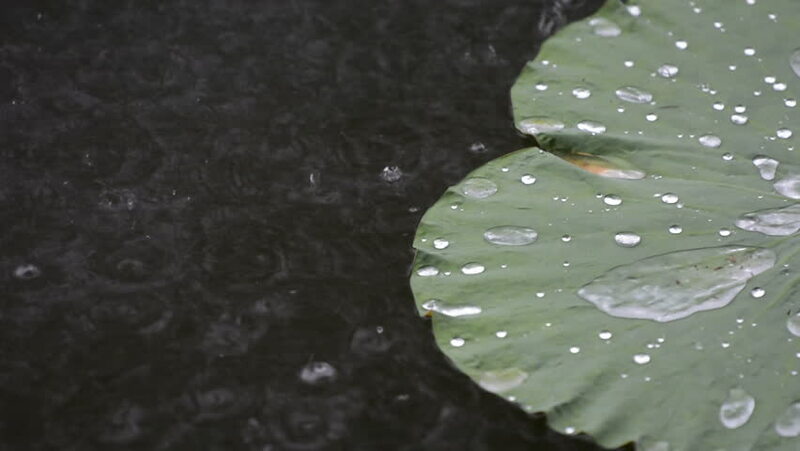 Heavy rain in the Pond damaging a lotus leaf. hd00:07rain days.Water Drop Flows Down on a Leaf, rain drops on tropical leaf.Macro shot of green leaves with drops of dew water over. Autumn concept, forest, trees, forest, rain, freshness.